When it comes time to pull the plug on a business entity for whatever reason, some owners wonder what’s wrong with just letting it “die on the vine.” It turns out that identity theft involving corporate entities left to “die on the vine” is the scam of the day. We’ve written before about the costs of forming and maintaining a business entity, including, in California, the requirement of paying an annual franchise tax of at least $800. For one thing, there is that $800 minimum annual franchise tax, which is payable even if the entity does not conduct any business or engage in any profitable activities during the taxable year. If the entity does not pay on time, the Franchise Tax Board will come looking to collect the tax, plus any applicable penalties. There is a strategy out there, based on the State Board of Equalization’s Ralite decision, which suggests that the owner(s) can just walk away from the entity without being held liable for its franchise tax responsibilities. That has always seemed a little dicey to us, given that in Ralite the State Board of Equalization actually affirmed the Franchise Tax Board’s action imposing liability on shareholders for their corporation’s franchise tax and penalty when they did not formally dissolve the corporation. Even so, the State Board of Equalization ruled that the shareholders could be held liable only if the Franchise Tax Board could prove that a purported cash distribution to the shareholders was actually a fraudulent conveyance under the circumstances of that case. Accordingly, some practitioners have indicated that it may be safe under Ralite to walk away without dissolving an entity if the elements establishing a fraudulent conveyance are not present. Whether or not Ralite is a sound strategy, there are other reasons, legal and practical, that tip the scales in favor of formally dissolving an entity. Legally, for example, dissolving a corporation sets a definite end date for when shareholders can be sued to recover corporate assets that were allegedly distributed improperly. Practically, properly dissolving the entity can help keep its owners from having their ongoing business endeavors ruined by the growing problem of business identity theft. That’s right, it’s not just individuals who have to worry about identity theft anymore. Federal regulators, including the Federal Trade Commission and the Internal Revenue Service, have warned of the dangers of business identity theft. And state governments have also gotten involved, with the National Association of Secretaries of State seeking to get the word out about business identity theft. The Colorado Secretary of State has been particularly active, going so far as to publish a Business Identity Theft Resource Guide. The FTC has warned that identity thieves “often target companies that are no longer in business in the hope their crime will go undetected.” The mechanism used by business identity thieves is fairly straightforward. Nowadays, it is easy to search and obtain corporate information and records online, including whether or not a particular entity is inactive. If a company is inactive, the thieves can file an amended Statement of Information to change the business’s address, officers, and/or its registered agent with less chance of being found out. The thieves can then obtain a certificate of good standing and use that and altered corporate documents to obtain credit cards or lines of credit in the company’s name. The fraud will likely not be discovered until the creditors of the company’s actual principals come calling, at which point the owners will have to go to a lot of trouble to clean up the mess and attempt to restore their credit for conducting their legitimate businesses. While active businesses are, of course, also susceptible to business identify theft, it makes sense to take every precaution to protect against such theft, especially the low-hanging fruit like dissolving a defunct business. One final point—both the FTC and the Colorado Secretary of State, among others, recommend monitoring the business entity’s filings and records to make sure they are still up-to-date and correct and have not been hijacked by identity thieves. Some states only require filings to be made every other year (e.g., California LLCs), but business records should be checked at least annually to ensure that the information is still correct and has not been tampered with. Such monitoring is in addition to what business entities can do on their own to inspect bills and accounts for suspicious transactions. See, e.g., How Much Does It Really Cost to Incorporate and Pre-Revenue Companies Must Pay Taxes and File Tax Returns. See In re Appeal of Penoe, Inc., No. 785013, 2014 WL 10061056, at *3 (Cal. St. Bd. Eq. Oct. 14, 2014) (citing Appeal of Vitmora Co., No. 78-SBE-079, 1978 WL 3552 (Cal. St. Bd. Eq. Sept. 27, 1978), and Appeal of Mission Valley E., No. 74-SBE-039, 1974 WL 2855 (Cal. St. Bd. Eq. Oct. 7, 1974)). In re Appeal of Zubkoff, No. 90-SBE-004, 1990 WL 117932 (Cal. St. Bd. Eq. Apr. 30, 1990). See Cal. Corp. Code § 2011(a)(2)(B) (extinguishing any cause of action against a shareholder of a dissolved corporation that is commenced more than four years after the effective date of the dissolution of the corporation). See F.T.C., Could Business ID Theft Put You Out of Business? 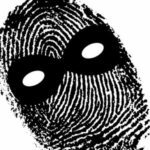 ; I.R.S., Tax Practitioner Guide to Business Identity Theft. See N.A.S.S., NASS Business Identity Theft Task Force: Findings & Suggestions for States. F.T.C., Could Business ID Theft Put You Out of Business? See The Council of State Governments, Business Identity Theft.